The fourth Thursday in November has become a great (if totally unnecessary) excuse to do some fancy beer shopping. But trying to line up a great beer menu to accompany the country’s grandest feast day is always an intriguing challenge, especially if, like me, one is unencumbered with any other culinary duties for the day. Actually, I’m not even encumbered with picking beers this year, since we’re heading down to Wildwood Barbeque for the day—the smokin’ new Hadley, Massachusetts eatery owned by my daughter and son-in-law. 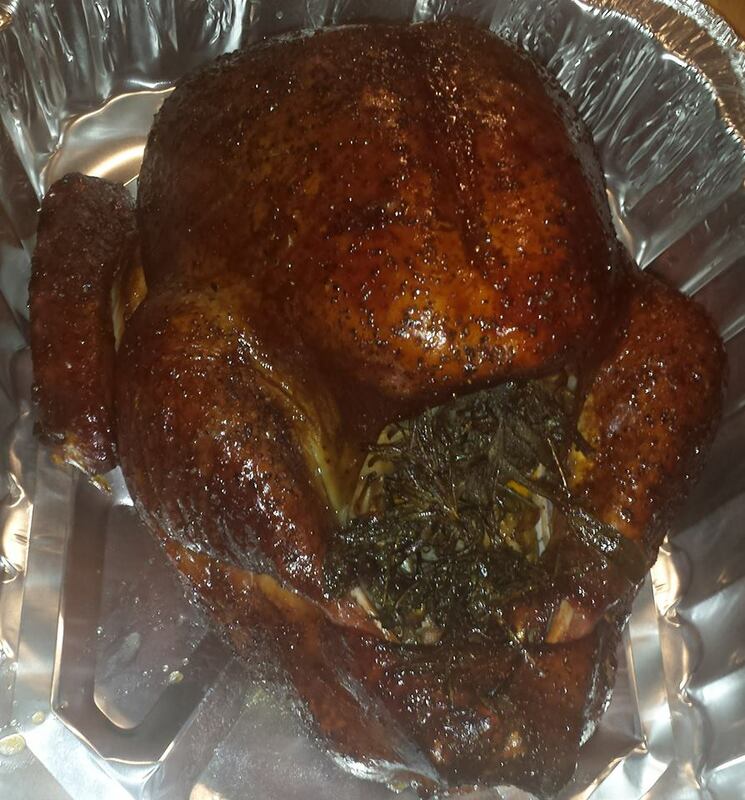 It’s not open for business, only our Thanksgiving dinner. And since there are eight craft beer taps on hand, all I really have to show up with is an appetite and a thirst. 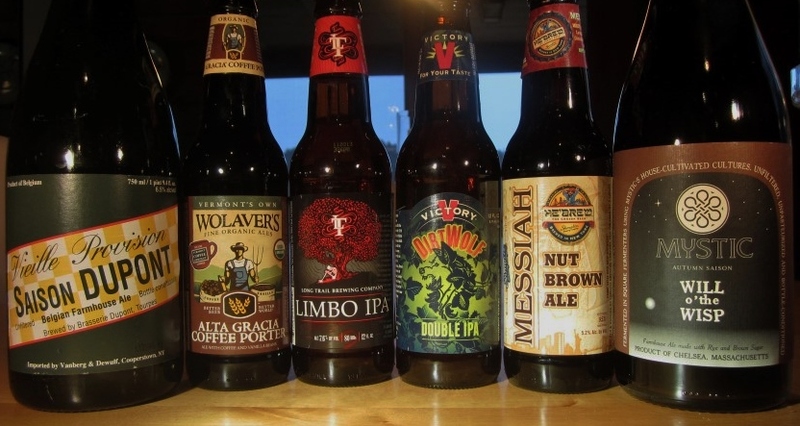 But old habits die hard, and I came up with these six anyway, which should help any brew fan through the day with ease. And since there seems to be at least a mild movement afoot to replace Black Friday with Beer Friday—drink instead of shop—leftovers are always welcome. There’s a mild east coast bias here, but the styles can be found anywhere. I’ve seen a few articles this year belittling the choice of Saison Dupont for the Thanksgiving table as old hat, a tired choice. These are the voices of ignorance. Not to say there aren’t other great saisons out there (see next choice). But you might as well start at the top of the mountain, and this traditional farmhouse ale from the Wallonia area of Belgium is the touchstone for all the Saisons that have followed. 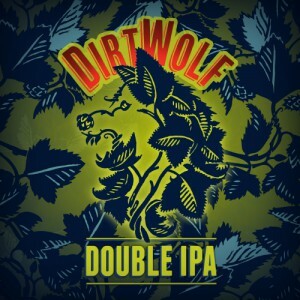 It’s a pale, spritzy, dry, easy-drinking brew, but hardy timid. It’s packed with fruity, spicy, peppery flavors that frankly go with just about anything on the table. A wildly experimental saison brewery near Boston, Mystic is producing an impressive portfolio of beguiling beers, including four seasonal saisons (which only sounds redundant), currently available only in Massachusetts and Vermont and a few west coast test markets. This corked autumn offering is made with rye malt and brown sugar, both quite evident in the aroma and palate—a lightly sweet and mildly spicy mahogany brew with a touch of farmhouse funk. Brewery sales rep Matt Sloan said, “I would be happy to tell you the hops if I knew myself, and of course, with the holiday, I can’t get ahold of the brewer.” We’ll content ourselves with knowing that “American and Slovenian hops” contribute to the long, dry finish. Brown ales lean to the malty side, and the Messiah is no exception, which should let it handle those candied yams or sweet potatoes nicely. What makes this an additionally chosen beer is that this particular Thursday is being touted as Thanksgivvukah. The last time Thanksgiving and Chanukah overlapped was 1888. The next time will be in 79,043 years, so it would be best to celebrate now. Shmaltz Brewing will also be releasing its latest anniversary beer—Jewbelation Reborn—taking note of its new brewery as well as its 17th year with a 17% ABV beer with 17 malts and 17 hops. 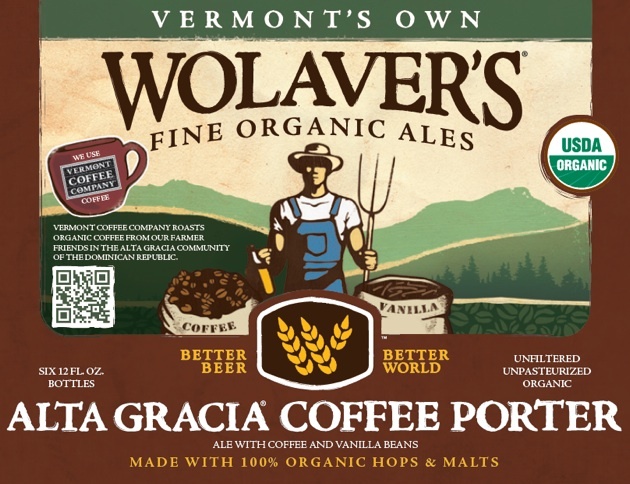 This seasonal from the organic arm of Vermont’s Otter Creek Brewery is a fine and roasty porter with chocolate notes, but there’s no doubt about the coffee—Wolaver’s uses dark-roasted Dominican coffee from the Vermont Coffee Company (fair trade, of course), leavening this a bit with an infusion of vanilla beans. Eat hearty, drink wisely, drive carefully. And remember that after all the feasting, Friday is National Flossing Day!